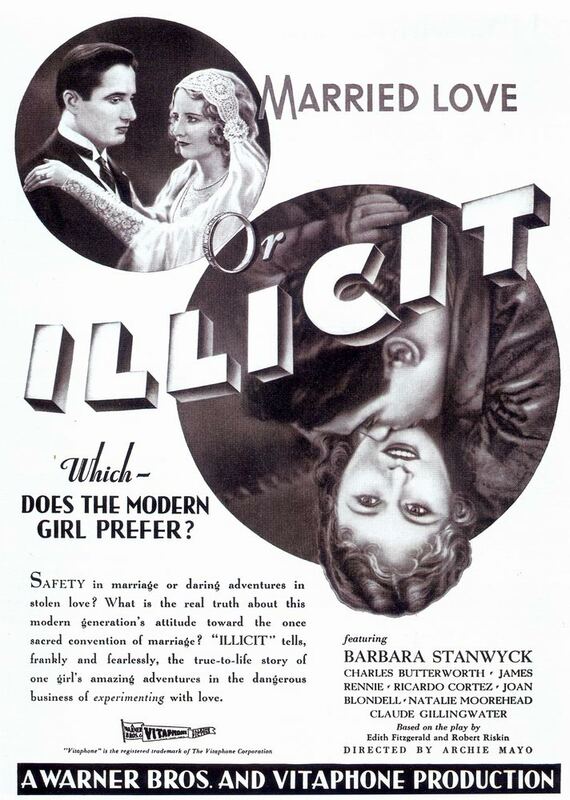 Illicit, 1931, originally uploaded by Gatochy. Click image for 712 x 1000 size. Scanned from Taschen's "All-American Ads of the 30s". Actually not a bad little movie. Stanwyck is gorgeous.